An extensive set of signal processing tools such as input compressors, delays, 31-band graphic input EQ, and six parametric EQs for each output lets you tune speaker systems with surgical precision to suit the givenvenue and operating conditions. Each output also features a precisiontunable digital limiter to protectspeaker components. The integrated RS232 and USB interfaces lets you remotely manage and control the system conveniently and quickly using a PC. 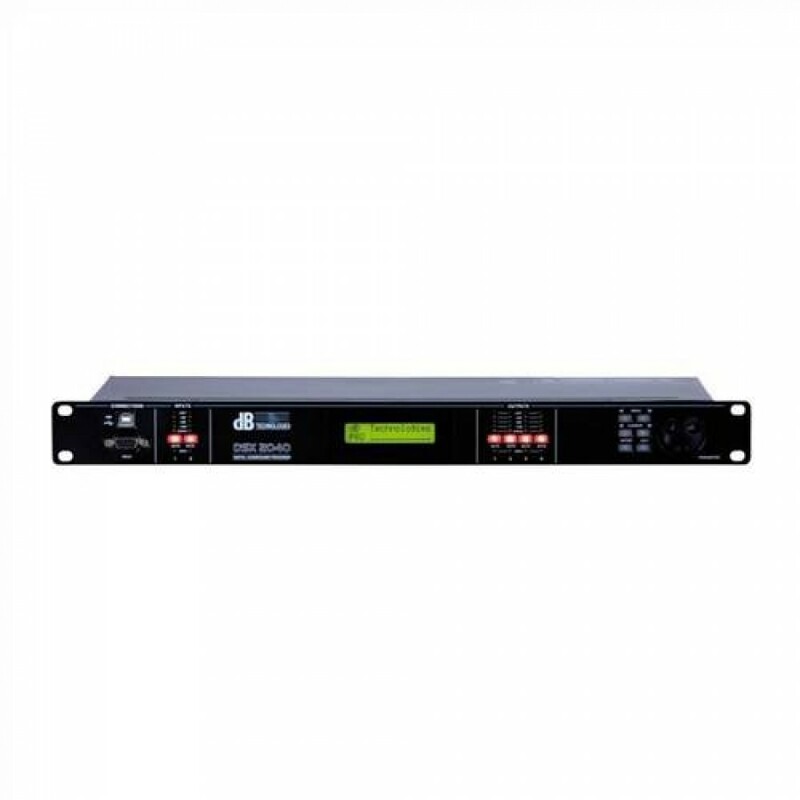 With the benefit of controller software, you can easily create presets for dBTechnologies speakers as well as custom configurations and load theseprograms to the DSX2040. If you like the handling convenienceof analog features, you will love the hands-on controls. They afford direct access to key parameters bysimply pushing a button on the front panel. A backlit display with 2x16 characters and LED level metersabove each input and output afford you at-a-glance insight into the unit’s performance.